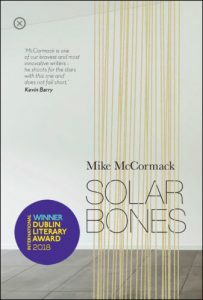 Tramp Press, a small publisher in Ireland, found a winner with Mike McCormack’s ‘Solar Bones’. 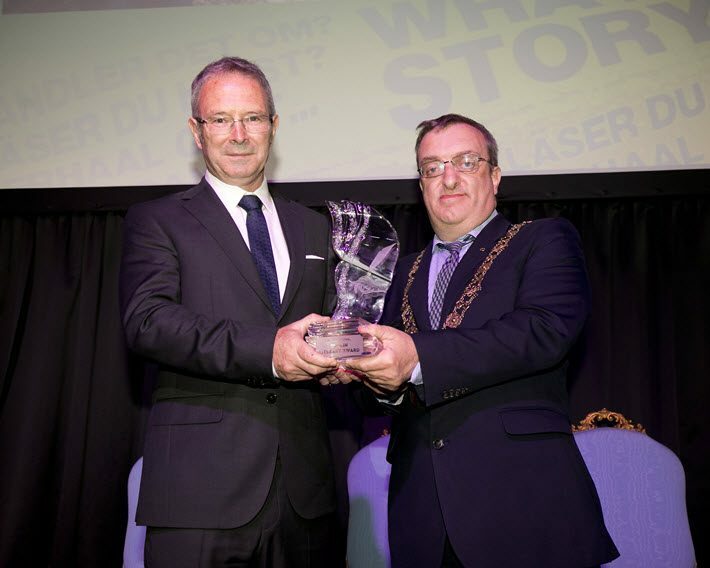 The book, passed over by larger publishers, has won the International Dublin Award. 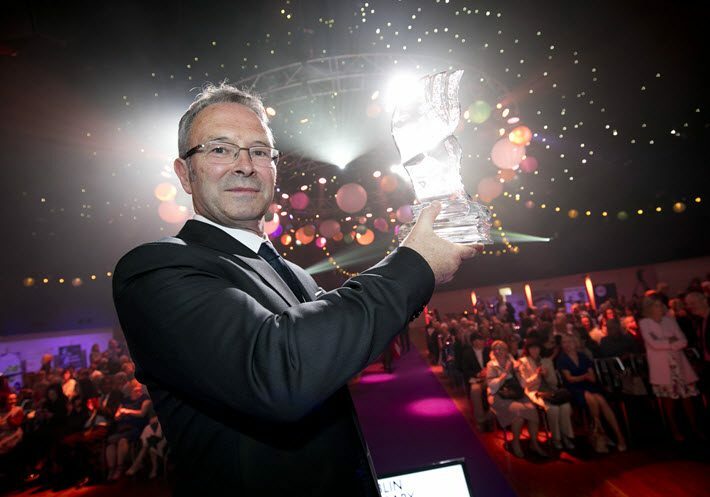 The author Mike McCormack has become the fourth Irish author to win the International Dublin Literary Award for his 2017 Solar Bones from Tramp Press. The prize is run and sponsored by Dublin City Council. Carrying a purse of €100,000 (US$116,525), the 23-year-old award is said to be the richest for a single novel published in English. And this is the prize, formerly called the IMPAC, that has the distinction of being nominated by public librarians in many parts of the world. In years in which a translation is involved, the program recognizes the translator as well as the author. 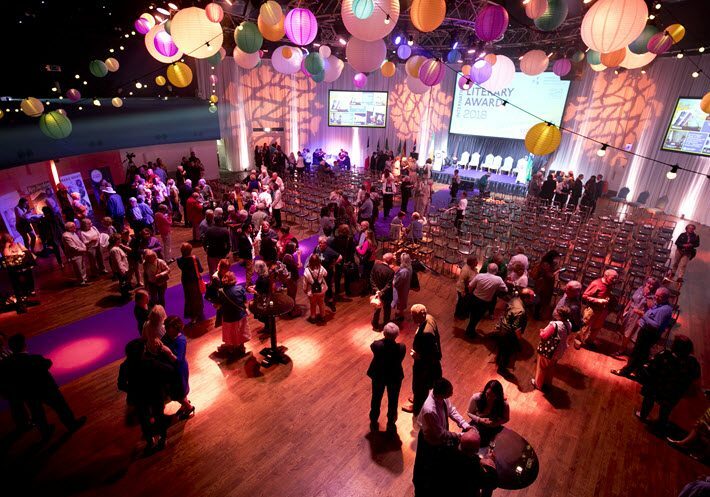 The prize’s longlist, the result of those librarians’ suggestions, comprised 150 titles, a collection contributed to by libraries in 111 cities and 37 countries. A jury cut those down to a 10-novel shortlist said to represent writers on four continents. There are several interesting factors about Solar Bones. The loudest bragging rights, for example, belong to Tramp Press, a small independent house in Ireland established by Sarah Davis-Goff and Lisa Coen in 2014. It’s another of these “who’s sorry now?” refrains we hear too frequently in publishing: the book hadn’t found interest from a larger house. Its Canongate edition in 2017 followed the Tramp Press original, a partnership that ensured the book could vie for the Man Booker Prize for Fiction. And the title did make it to the Man Booker longlist last year. In the United States, the book is published (2017) by Bronwen Hruska’s Soho Press. 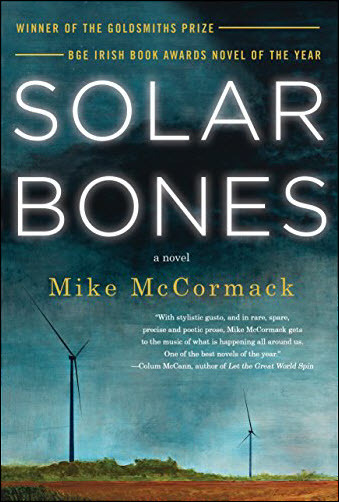 As for McCormack’s work, Solar Bones has the peculiar device of being one sentence long. Or one long sentence. The book’s All Souls Day tale is told in a single sentence that runs the length of the book’s 270-or-so pages. In a prepared statement about the win, McCormack is quoted, referring to “this unique prize which continues to recognize the valuable work of libraries around the world. 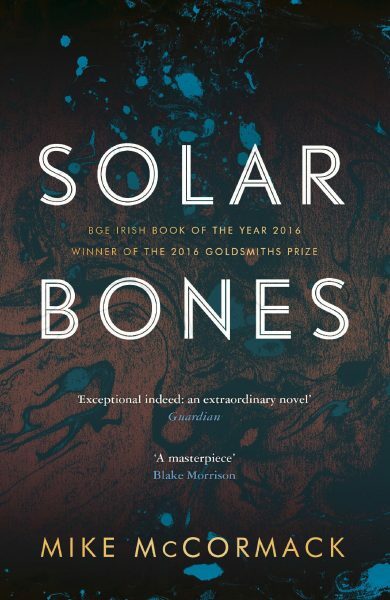 “To have Solar Bones chosen from a shortlist with such a broad international outlook is a special honor, indeed. I have always thought that the inclusion of translated work is a particularly valuable aspect of the International Dublin Literary Award; these different voices and the diverse ways in which they tell their stories ensures that the novel in English does not become dull or complacent. Information on the Tramp Press site has it that translation rights for the book have been sold to Denmark, France, Germany, Italy, Spain, Greece, Netherlands, and the US. 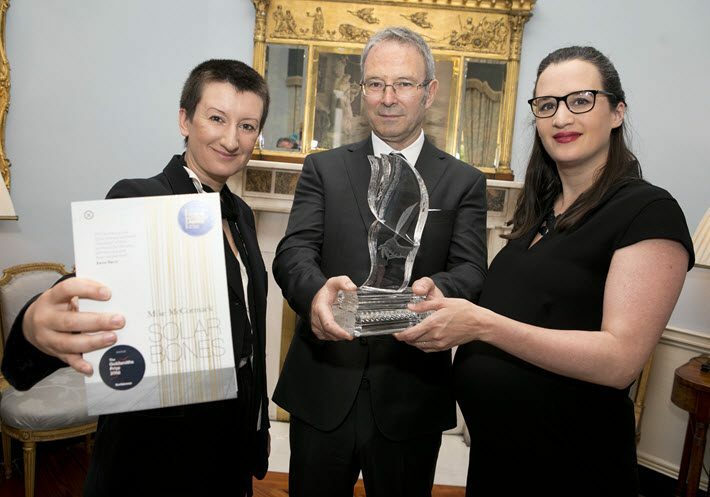 Literary agent Marianne Gunn O’Connor, Tramp Press adds, is the first Irish agent with an author to win the big Dublin award. The jury behind the choice comprised the non-voting chair Eugene Sullivan and Xiaolu Guo, Nicky Harman, Courttia Newland, Mpalive Msiska and Vona Groarke. That shortlist included six novels in translation. Its authors and translators are from the States, Germany/Ukraine, Ireland, Italy, Mexico, Norway, South Africa/Nigeria/Barbados, South Korea and the UK.